This Ki-Gu-Mi globe fully spins around! Test your geography knowledge putting the globe puzzle together. 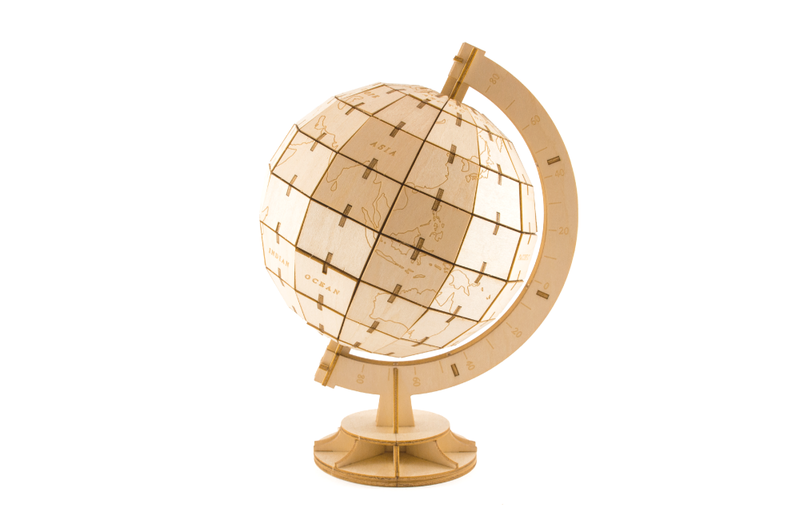 Why not take advantage of the smooth plywood surface and colour in the countries you have visited! Ki-Gu-Mi fun fact: The oldest model globe still around today is the ‘Erdapfel’ (Earth Apple in German), which was made in 1490! It doesn’t include North America, South America, Australia, or Antarctica.